Are you looking for a Hunting Club in Weatherford, Tx? You have come to the right place! Silver Creek Guide Service is helping hunters with Duck Hunting & Dove Hunting. Our guides have all the experience to help you feel your straps with lots of birds to take home. We hunt strictly on private land to avoid all the crowds. There will nobody hunting on your land while you are there unless it’s the people in your group. We’re located 45 minutes west of the DFW Metroplex in Weatherford, Texas, directly in the middle of the Central Flyway. Our ranch is located on the highest point in Parker County, Texas. Three creeks originate on the ranch and feed three of the areas large reservoirs – Eagle Mountain Lake, Lake Worth, and Lake Weatherford. We like to think of our land as the “bird highway.” When you are hunting on our private land you will get a shot at many different types of birds such as mallards, pintail, widgeon, gadwall, & green wing teal. Daily scouting ensures our hunters will be on a “rested” honey hole, then we put our hunters in comfortable blinds (either layouts, stationary, or heated pit). We use only the best decoys and accessories. When dove, season opens up, we will be ready! Contact Us today to reserve your private dove hunt today. Dove hunting is a fun sport that many people like to participate in. 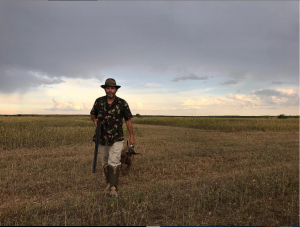 Dove hunting is a social activity and it’s not uncommon to groups of friends heading out to hunt for doves together. Come dove hunt with us at Silver Creek Guide Service the #1 hunting club. Dove meat is tasty and can make a nice meal. Basic Hunts: Our basic hunt can happen on the weekends or weekdays with an extra charge. On the weekdays, you hunt alone or with our friends. We may also pair you with other hunters or other groups. Private Hunts: A private hunt can be just for you or you and up to 5 of your friends and family. This is a great option for groups with small children or elderly people. This kind of hunt can be customized to fit your needs. 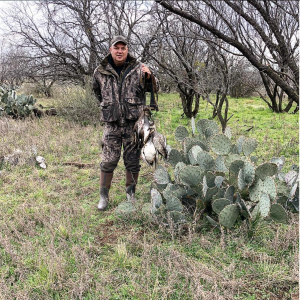 If you have considered Aledo Duck Hunts but didn’t know where to start, we are here to help. We will give you step by step instructions to ensure you have a fun and stress-free hunt. Contact Us today to learn more about prices and what to bring, or check out our FAQ page.